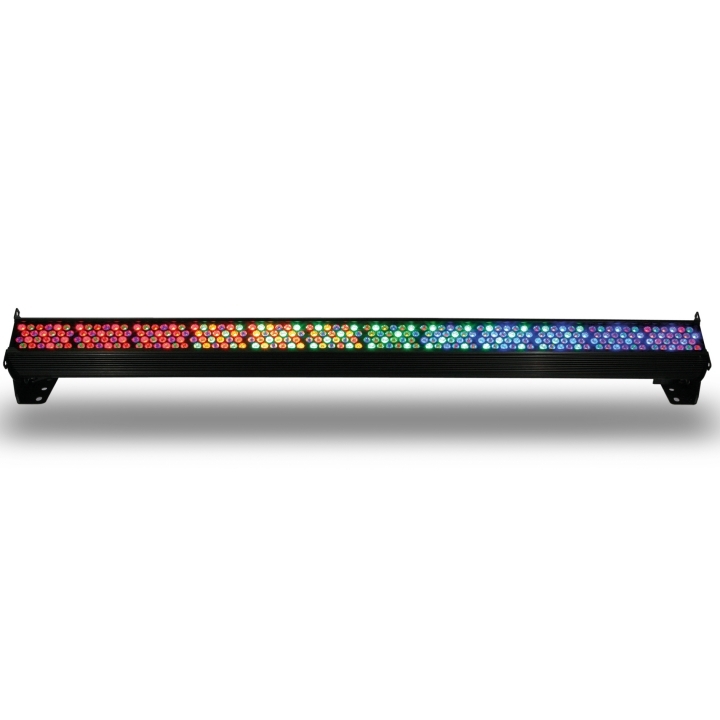 The Chroma-Q® Color Force™ LED batten range is a brute of a light. The super bright fixture easily washes up to 8m / 26 ft. In addition, the RGBA LED engines provide a radically increased colour palette, together with a high CRI of 92 and theatrical grade dimming, all in the same fixture. The Color Force offers extreme light output, lighting an 8m / 26ft drop cyclorama in your choice of colour. Optional accessories include a Cyc lens plate for up to 5m / 20ft drop and a Border lens plate for general purpose wash applications. Below demonstrates the Color Force output compared to a traditional 1kW cyc flood. Identical camera settings were used in the comparative photos. The Color Force offers massive output across the spectrum, ensuring both vivid saturates and subtle palette colours are available from a single fixture. It provides a single fixture solution for concert touring, corporate events, exhibitions, TV and theatre. The Chroma-Q RGBA engine has been developed to deliver an incredible CRI of 92, for true colour balance across the spectrum. The Color Force custom optical design provides a smooth, uniform output with outstanding smooth colour blend across the spectrum. On the outside, the Color Force has been designed to provide maximum versatility and ease of use. The built-in power supply, hidden quick release fixings requiring no tools, and mains power / DMX in at one end and out the other provide fast deployment and simple cable management. The Color Force also features stand-alone Master and Slave modes for additional usage possibilities, flat end plates for seamless wall-washing and a rugged extruded aluminium body. The Color Force features smooth, theatrical grade dimming and intuitive colour control for all console types. Advanced software enables industry standard 3 channel RGB and HSI control for each light engine. A full range of flicker-free modes are also included. With separate RGBA control every 150mm / 6” and a comprehensive built-in effects engine, the Color Force offers new possibilities in cyclorama effects.